The next event in the Summer Series will be held on a new sprint map of Cottam, in Preston. The area is an interesting mix of fairly recent housing development and public open spaces, with enough route choices to challenge anyone moving quickly! The venue is the Ancient Oak pub which has ample car parking and serves food right up to 10pm. Starts and finishes will be close by. More details on the fixture list. 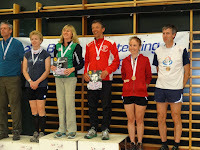 Congratulations to Jane Anthony 1st overall in the W50 class, and Karen Quickfall 2nd in W40S, at the 3-day Springtime in Shropshire competition held over the bank holiday weekend. Several SROC members made the annual pilgrimage to the Scottish Orienteering Championships held yesterday. Miriam Rosen (W65) and Quentin Harding (M50) both won their respective classes. Full results here. Scores for the first event in the series are available here. The next event in the series is on Monday 1st June, based in the Ancient Oak pub in Cottam. A new map of a new area, with an excellent venue. Food available. More details on the fixture list. A wild and blustery evening but with sunshine, a great venue in the cricket club, and a very enjoyable set of courses were experienced by sprinters today. Results and RouteGadget may be accessed via these links: Prologue Final Overall RouteGadget. Birks Bridge, Duddon Valley. New lidar map. Parking GR SD235995 near Hinning House. Excellent varied terrain with plantation, oak woodland and open fell. Traditional 60 min score format. Start/finish is 400m from parking. No toilet facilities. Starts 18.00-19.00. Courses close 20.00. £5/2. Prize giving and BBQ afterwards! NWJS will be providing a BBQ - roll, 2 meats( burger, sausage or bacon) salad, grated cheese, drink and cake for £5. At least a couple of SROC cars will be going up. It's that time of year again and the ever popular Summer Sprint Series will have five events this year, followed by a prize giving at the Club Picnic on 11th July. The format is similar to previous years, with a short "Prologue" race with start times between 6.30 and 7. This will be quickly followed by the "Final", a full sprint length race with start order determined by your prologue time, fastest goes off last. Where possible a pub or similar will form the HQ for the evening. The first event is next Tuesday, 19th May. Stanley Park, Blackpool, updated map. Venue: Blackpool Cricket Club. 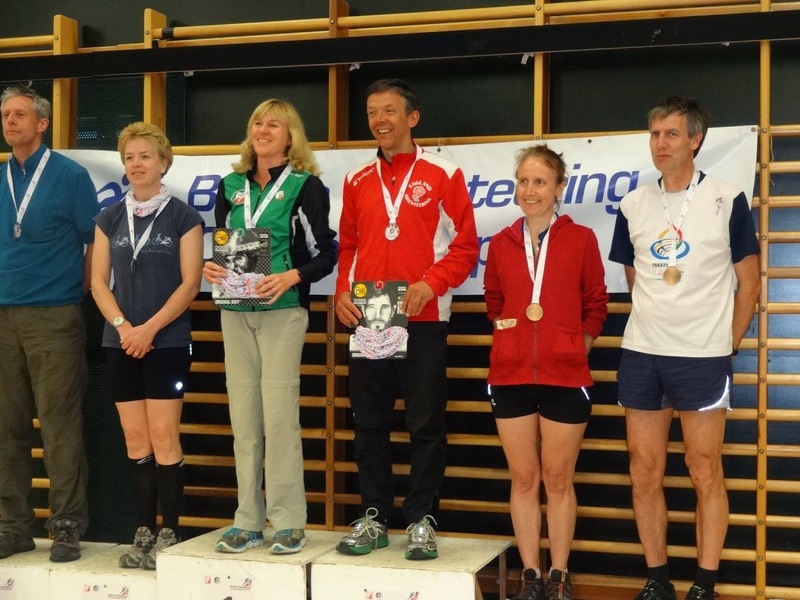 Last weekend British long distance champions Quentin Harding (M50) and Helen Ockenden (W18) did the double. 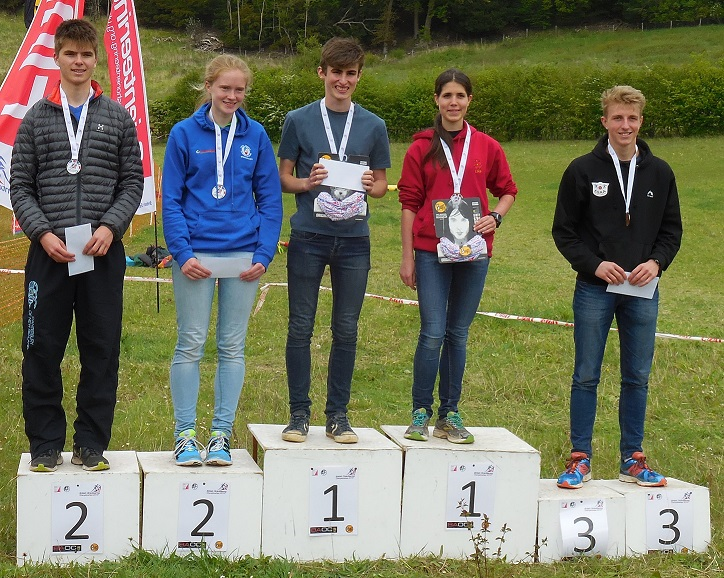 Quentin won on Saturday at the British Sprint champs at Aldershot, and Helen won on Sunday at the British Middle Champs near High Wycombe. Other top ten results from the sprint finals: Mary Ockenden 4th W55, Miriam Rosen 4th W65, Sue Harding 7th W50, Katrin Harding 9th Women’s Open, Rebecca Rooke 10th Women’s Open. 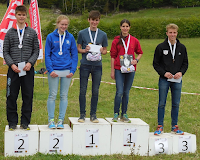 In the Middle Champs top ten results were achieved by Quentin Harding 5th M50, Sarah Watkins 8th W40, Mary Ockenden 8th W55 and Miriam Rosen 10th W65.